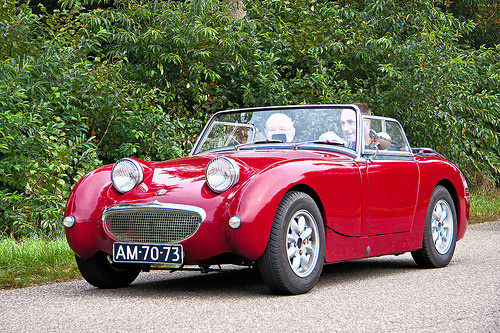 The Mark 1 Sprite sports car of 1958-71, also referred to as the "Frogeye" Sprite on account of its protruding headlights, was designed as a low cost successor to the pre-WW2 Austin 7 saloon. 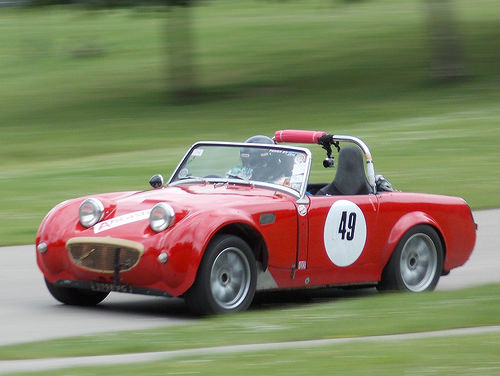 Priced at £678, an amazing 448,987 cars were built. 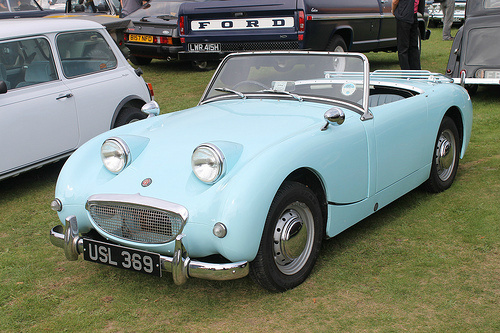 This two seater convertible was powered by a BMC A-Series, 948 cc, OHV, inline-4 engine, from the Morris Minor saloon, that developed 48 bhp at 5000 rpm, and 52 ft/lbs of torque at 3000 rpm. 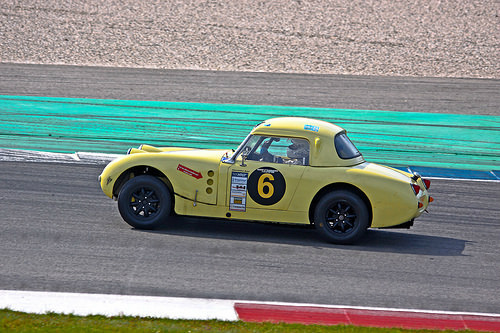 Fitted with a four speed manual gearbox, a compression of 8.3:1, and two SU carburettors, it had a top speed of 83 mph, with a 0-60 mph time of 19.0 secs, and a standing 1/4 mile time of 21.5 secs. Fuel consumption was 43 mpg. 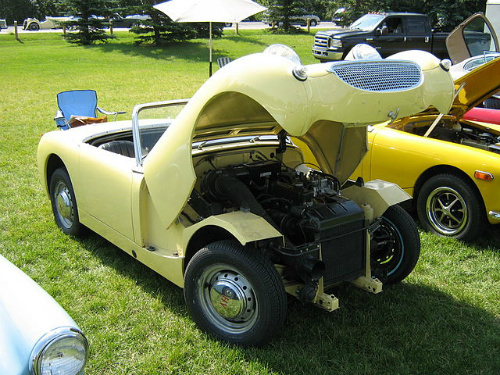 The steel body and chassis had a curb weight of only 670 kg. There was no boot lid or external door handles. 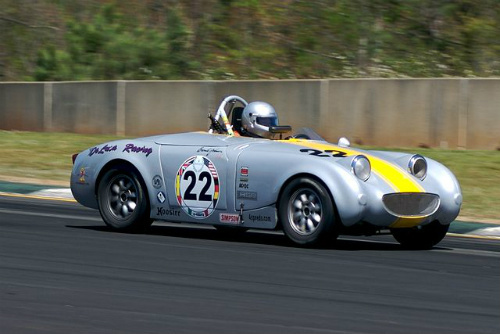 It won its class in the 1958 Alpine Rally. 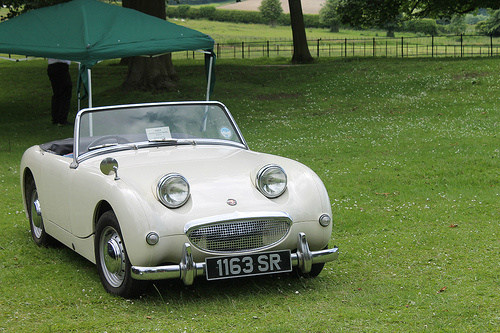 On a personal note, a Frogeye was my very first car!